The content of each tour varies, but they all include the opportunity to hear more about our cutting-edge research and interprofessional education and healthcare offerings. Join us for an Insider Tour to learn about topics such as aging and senior health, forensics and genetics, osteopathic medicine, pharmaceutical developments, and more. 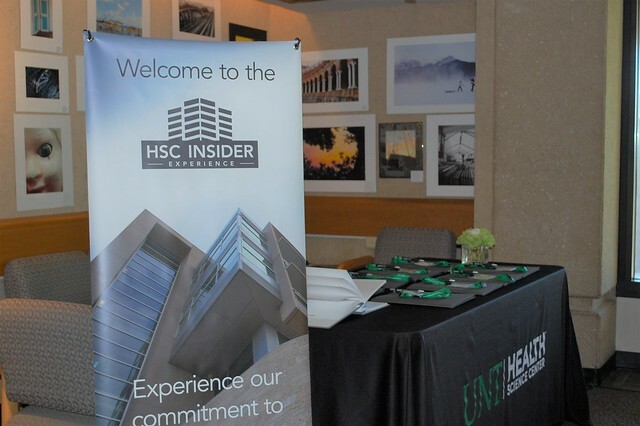 Please e-mail insiderexperience@unthsc.edu to learn about upcoming tours and other on-campus experiences. UNT Health Science Center is one of the nation’s premier graduate academic health science centers, specializing in values-based education, research and health care. All on a single campus, UNT Health Science Center comprises the Texas College of Osteopathic Medicine, Graduate School of Biomedical Sciences, School of Public Health, School of Health Professions (Physician Assistant Studies & Physical Therapy), and the UNT System College of Pharmacy. Add in the new TCU-UNTHSC medical school, along with multiple community outreach programs, and this institution has the unique capacity to train students in their individual career paths and to unite them in the practice of team-based research and care that always puts the patient first. For more information, please visit www.unthsc.edu.